https://www.golfdiscount.com/golf-pad-golf-tags?___store=default 63077 Golf Pad Golf Tags https://media.golfdiscount.com/catalog/product/b/l/blue-tags-box.jpg 99 99.0000 USD OutOfStock /Accessories /Accessories/Training Aids /GPS & Rangefinders/Rangefinders /GPS & Rangefinders /Brands /Holiday Sales/Accessories The Golf Pad GPS Tracking System is the easiest way to track your game. Simply download the free app on your Android phone, attach these tags to the end of each of your clubs, and you'll be able to analyze and track your swing like never before! 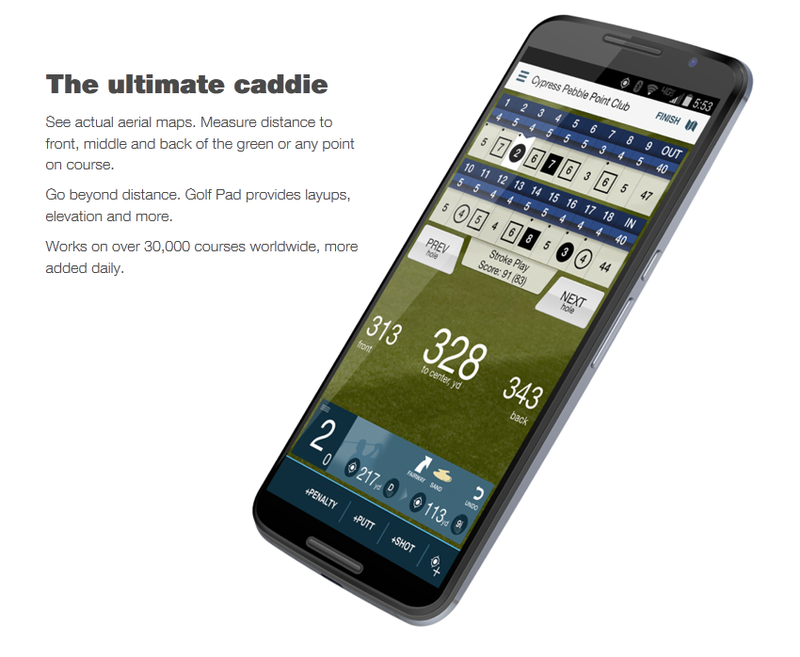 Golf Pad is the top rated rangefinder and scoring app for golfers. First, download the App for free on Google Play to your Android. Then attach these tags onto the end of each of your clubs, tap on your phone before making a shot, and you will see your shots, distances and statistics, in real time right on your phone! Know how far you really hit each club and analyze your performance with amazing statistics. Instantly! This unit is compatible with Android devices only. The Golf Pad GPS Tracking System is the easiest way to track your game. Simply download the free app on your Android phone, attach these tags to the end of each of your clubs, and you'll be able to analyze and track your swing like never before! These tags are just wonderful. I really love to play with my Golf Pad &amp; Tags &amp; my Samsung Gear S2. I believe it improves my game. It suggests the right club to use on every shot and I can see the right distance to green on my watch and to hazard on my phone. I also like the statistics provided with the app. The information is precise and professional. Thank you Golf Pad.